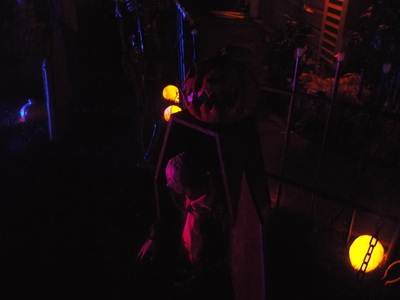 Halloween Town is a haunt we first visited back in 2012. 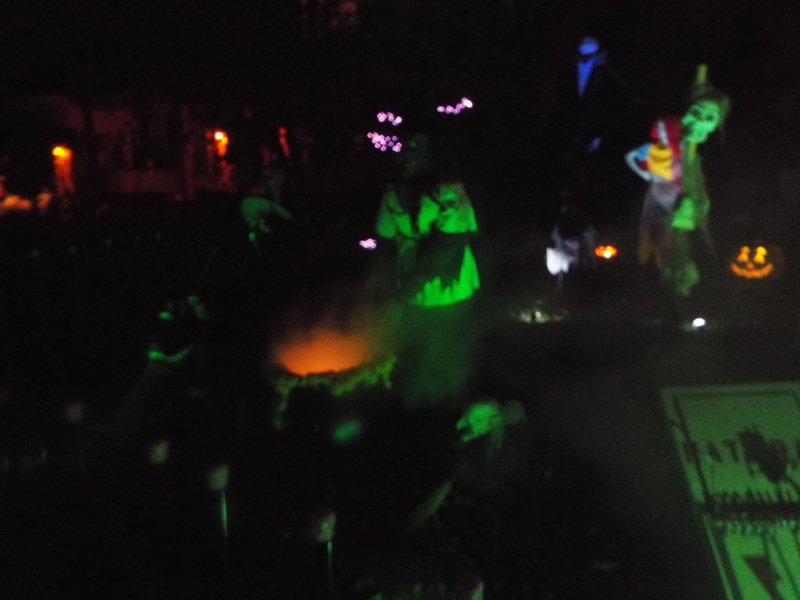 We enjoyed it then, but were told we really didn't see the entire thing at the time, so we planned on making a return visit. We managed to get there this year, and it was indeed different and even better than before. 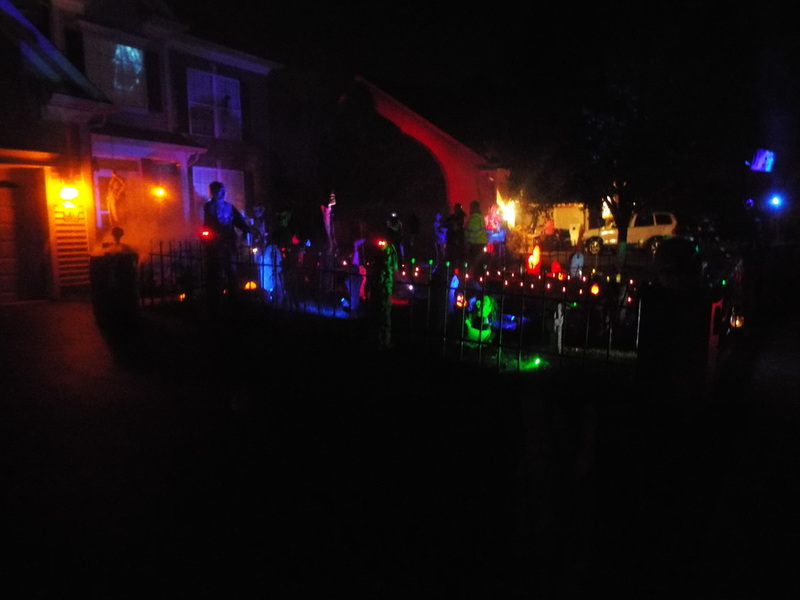 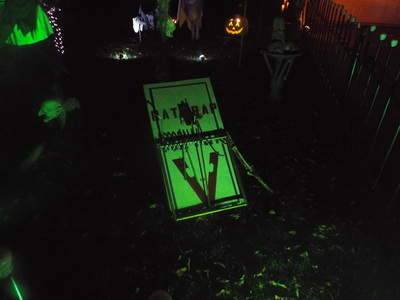 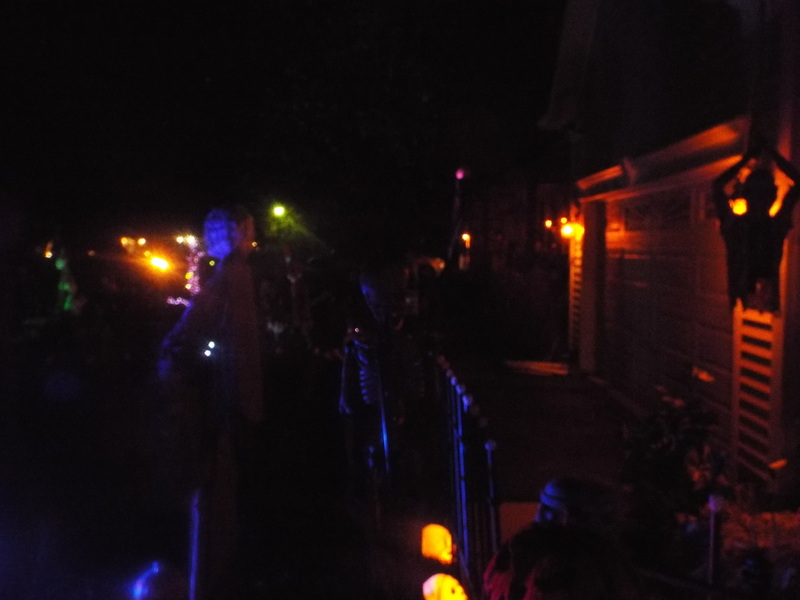 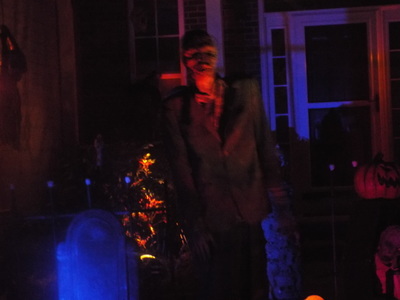 Halloween Town consists of a large front lawn display with an intersecting walkway that runs right up the middle towards the house. The display consists of numerous props, both animated and static, all accentuated by lighting and fog. 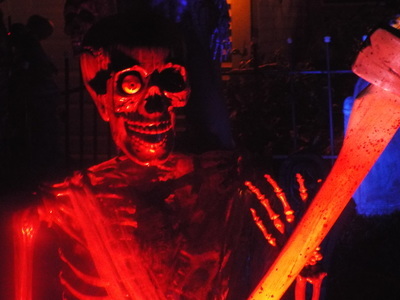 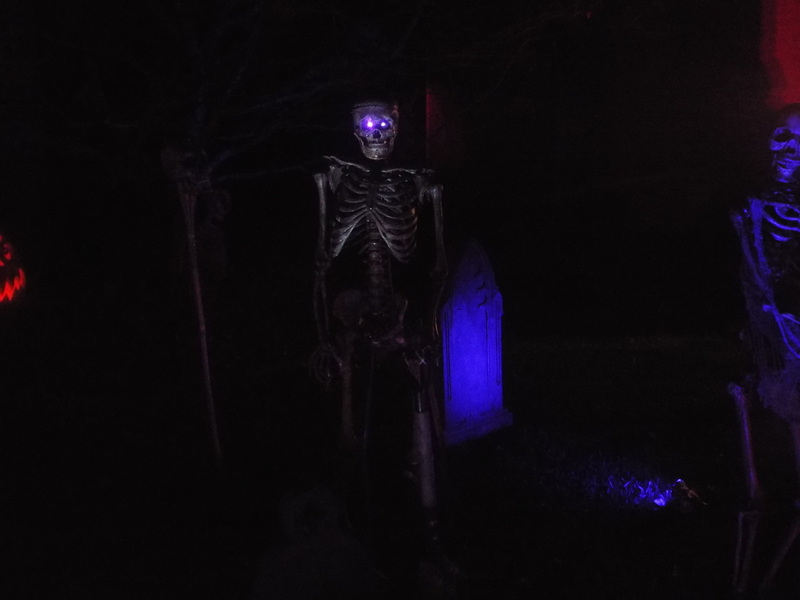 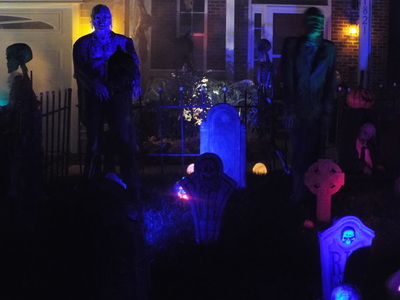 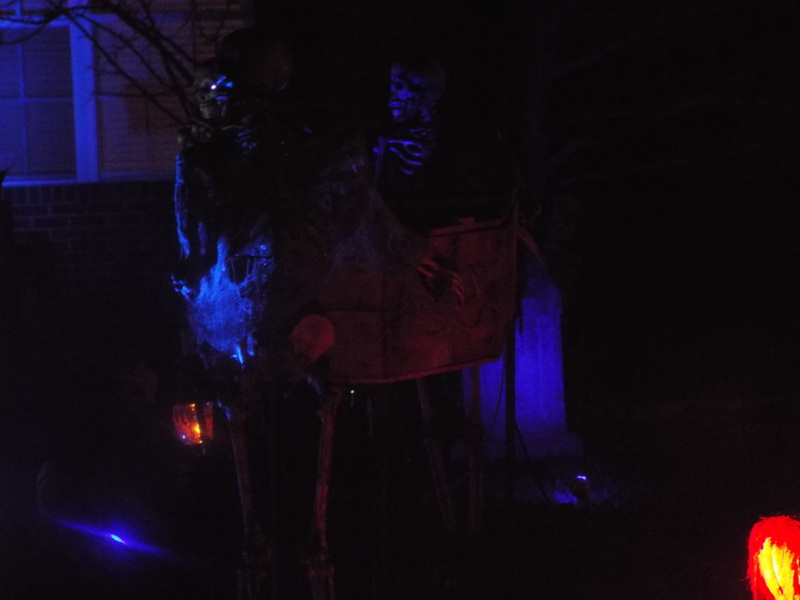 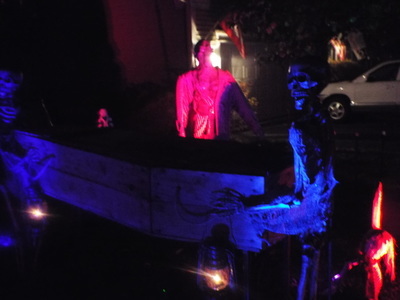 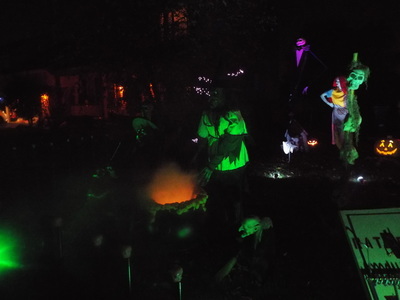 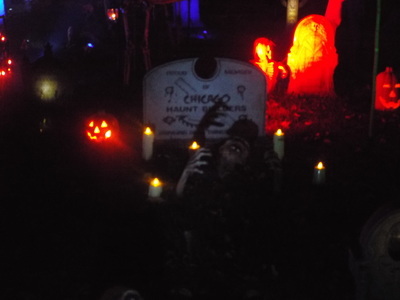 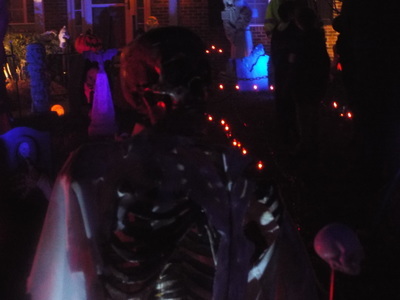 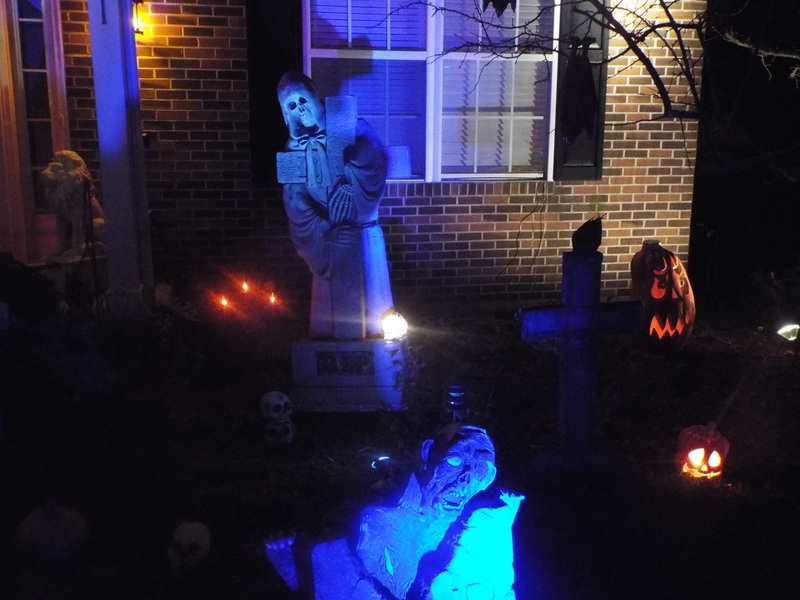 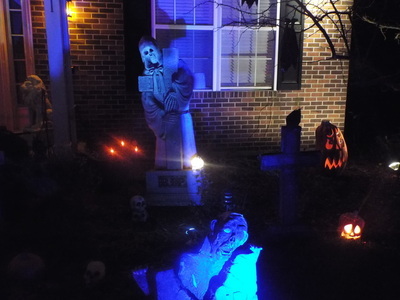 There are lots of things to see here, from moving zombies to corpses emerging from graves, to skeletons with glowing eyes, to a large figure of death holding a tombstone that is near the front of the house. 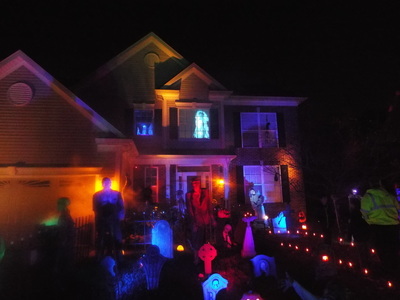 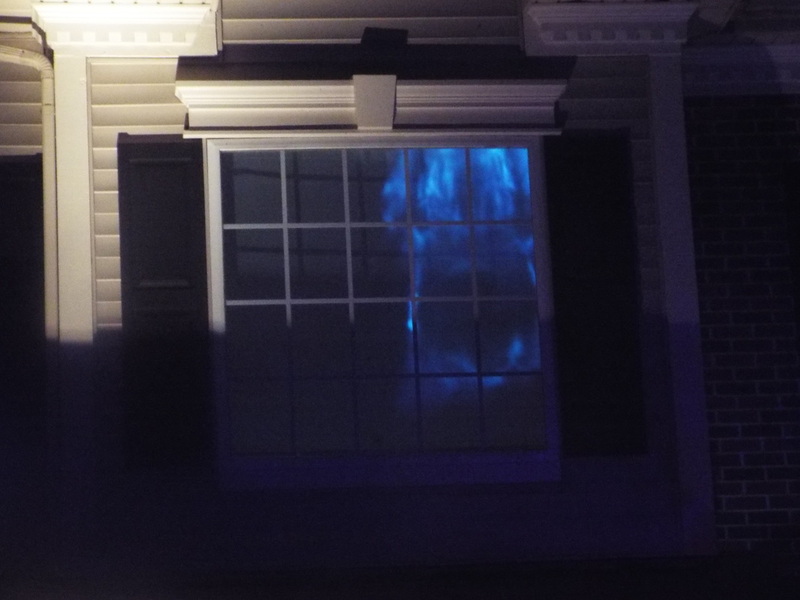 In addition, there is a silhouette of a hanging skeleton in one front window, a ghost in another, and even a moving projection in the center upper floor window. 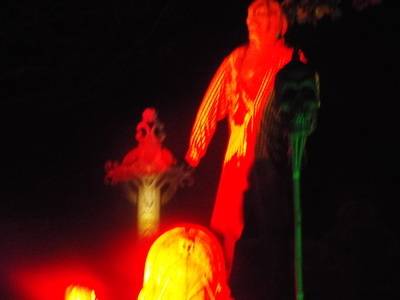 And true to the name, Halloween Town features a large figure of Jack Skellington, the main character from Nightmare Before Christmas and pumpkin king of Halloween Town, from which Halloween Town gets its name. 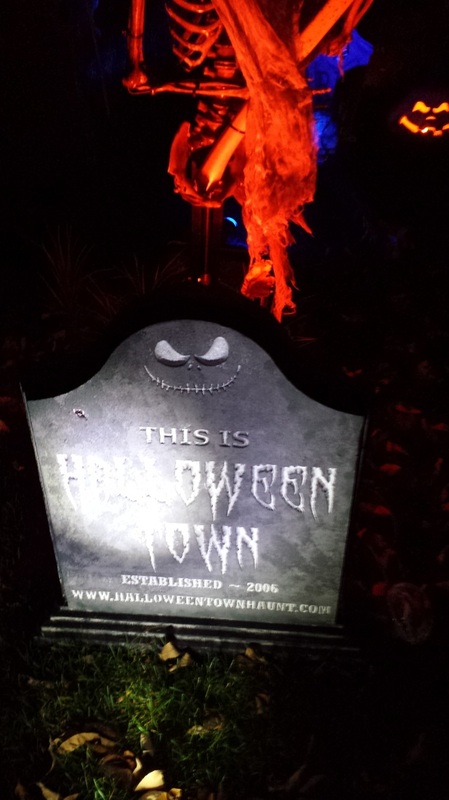 With its multicolored lights and numerous things to see, Halloween town is definitely a treat for the eyes. 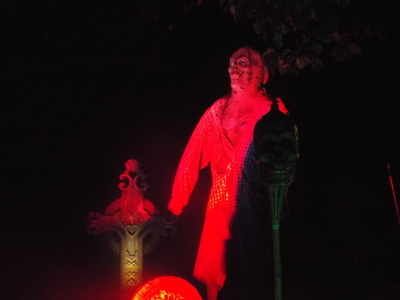 It's also pretty family friendly, as although some of the figures are more gruesome, none of them come out at visitors, so those with younger children can enjoy it as well. 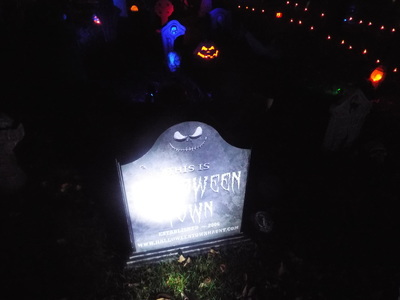 Halloween Town is whimsical and creative, and offers a lot to see, whether you're simply passing by or are brave enough to go up the center walkway to the front of the house. Plan a visit to Halloween Town this year. Jack will be glad you stopped by!